One of the best and most underrated ways of making money and getting Crafting experience is by making Battle Staffs (water, earth, fire, air). You must have at least level 54 Crafting and 56 Magic to make Battle Staffs, and this guide will walk you through every aspect of crafting them. For information on making Orbs, see the Glass section in the Crafting guide. To enchant an orb you much cast the enchant orb spell you are using on the correct obelisk. 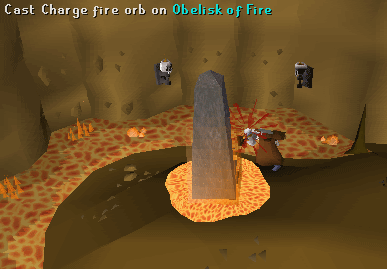 The water and fire obelisks are found in the Taverley Dungeon and the earth and air obelisks are found in the wild that is in the Edgeville Dungeon. The items on the left are for water, while the ones on the right are for fire. Now that you have all your supplies follow the map to your Obelisk. 1. If you have 70 Agility you can use the pipe and so you do not need the dusty key. 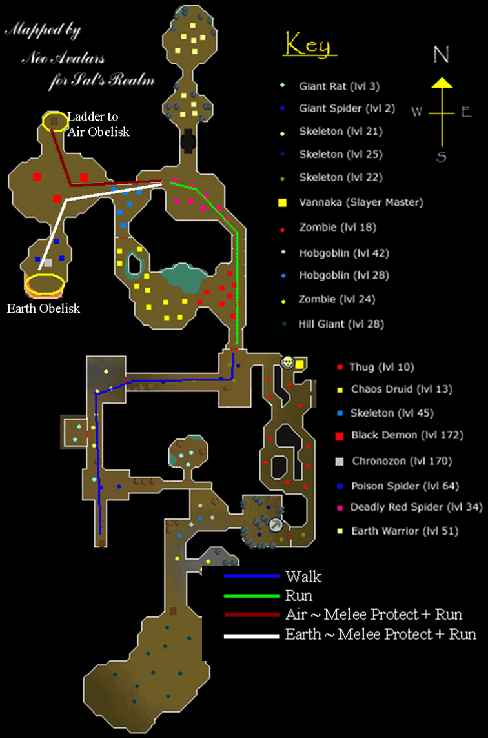 If you have 80 Agility then you can jump the floor, right to the Poisonous Spiders, saving a lot of time. 2. 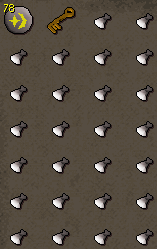 If you don't have 43 Prayer, bring an anti-poison because of the Poisonous Spiders, they cannot poison you if you have Protection from Melee on. 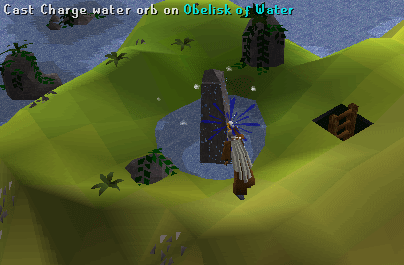 Once you have gotten to the Obelisk you are going to, cast the correct spell on the obelisk to enchant the orb. After you have enchanted all your orbs take off your glory or Ring of Duelling and teleport out. 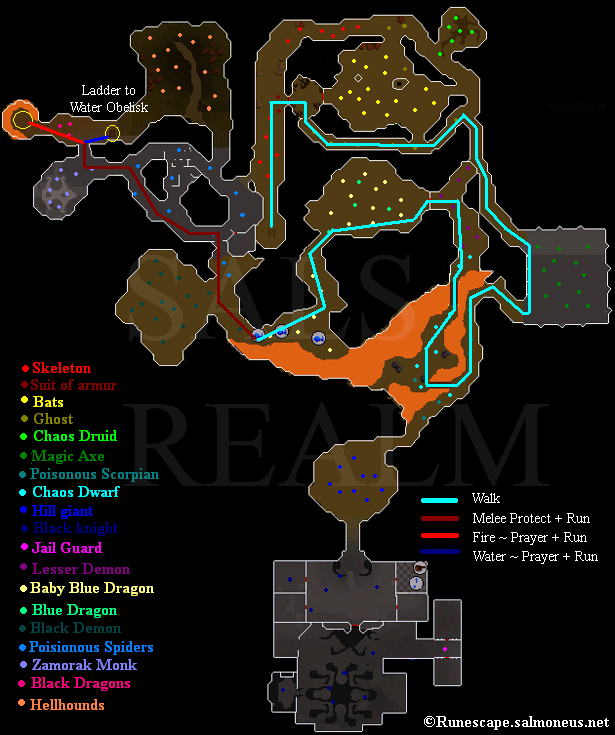 If using a glory teleport to Edgeville or Draynor Village. 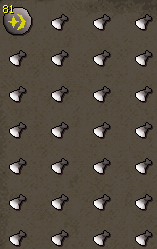 If using a Ring of Duelling teleport to castle wars to get to a bank fast. After you have banked teleport to Falador and bank for fresh supplies. Repeat process until all orbs are charged. If you do not have 43 prayer, bring an anti poison potion if enchanting Earth orbs. 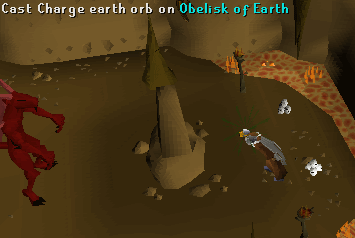 Once you have gotten to the Obelisk you are going to, cast the correct spell on the obelisk to enchant your orb. 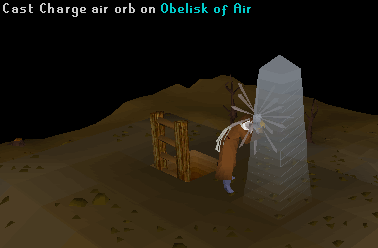 Both obelisks are in the Wilderness so there is a chance of being PKed. If that happens use prayer or drop an unpowered orb and teleport out. After you have enchanted your orbs use your glory to teleport to Edgeville and repeat process. Once you have your orb enchanted, you need to buy a battestaff from either Baba Yaga on Lunar Isle, or from the Magic Training Arena. You'll then attach the orb to the staff to make an elemental Battle Staff. All battle staffs high alch for 9,300gp each. If you make all your runes and orbs you can get up to a 2,300gp profit each. So make 1,000 staffs and you can get up to 2.3 Million cash. I recommend going to a shop and buying up all of the stock, make and alch them, and then check the shop again for an extra. Afterwards, log to another world and repeat. Pick 5 to 6 worlds to work in, and by the time you get to the 5th or 6th world the first shop will be full with battle staffs. If you have completed the Scorpion Catcher Quest, you can make your battle staff into a mystical staff for a fee of 40,000gp each.